Airtel is one of the largest networks in Nigeria that operates multinational. People love their services because is customer-friendly and more trustworthy. Their network coverage are wired over the nation, so it attracts more customers. Just at the beginning of last week, Airtel started to inform their users via official SMS about their new “Bonus Offer“, that has been revamped to give new flexible and affordable service. This Bonus Offer should be considered as a normal data because it can enable a user to browse or surf the internet, stream online videos, play online games, download heavy files and in fact, it’s not restricted. Normally, Airtel dish out this type of package to those who are eligible, in a way to attract more customers and to still showcase their normal or official data plans. Though, they are BlackBerry data plans but works smoothly on Android, iOS, tablet, PC and any other devices that can connect to the internet. To activate any of these data plans offer; you should first check if you’re eligible or not. Secondly, to check eligibility status, you can dial *440*16# and when you receive a message saying, “Insufficient balance“, then you are eligible but otherwise, makes you not to be eligible. 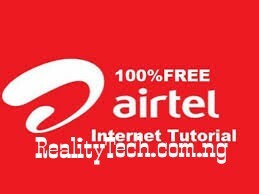 You can proceed to try another Airtel SIM for eligibility. To check your data balance, dial *140# and you’re done.